The new Odyssey Works putter line is Odyssey’s new high performance technology platform to remain the #1 Putter in Golf. They feature the already popular high contrast alignment aid that makes it easy to tell if the face is square so all your putts role on target. The all new Fusion RX insert has a stainless steel mesh front with a White Hot backing to produce extreme roll and a better feel. The counterbalance design helps create stability so you can have a smooth, consistent stroke. 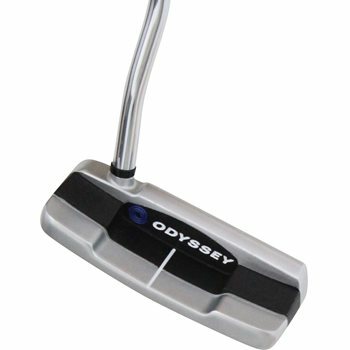 Make more putts with the all new Odyssey Works #1W Versa Tank SuperStroke!